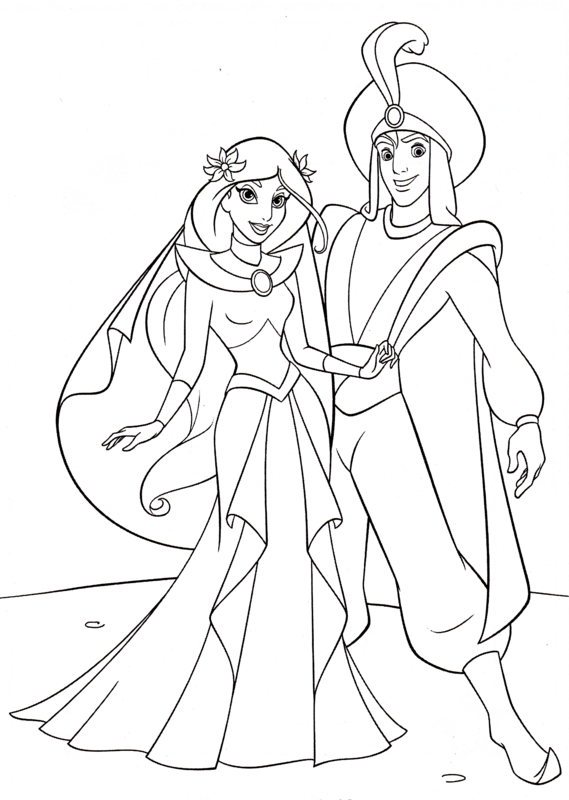 Walt 迪士尼 Coloring Pages - Princess 茉莉, 茉莉花 & Prince 阿拉丁. Walt 迪士尼 Coloring Page of Princess 茉莉, 茉莉花 and Prince 阿拉丁 from "Aladdin and the King of Thieves" (1996). 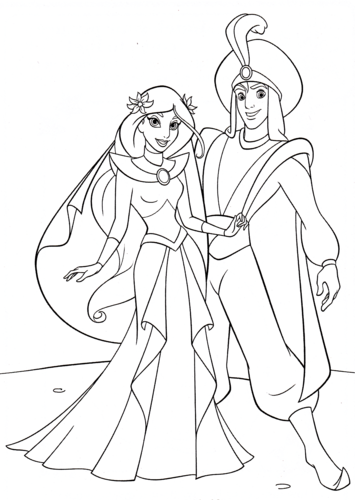 HD Wallpaper and background images in the 华特·迪士尼角色 club tagged: walt disney characters walt disney coloring pages aladdin and the king of thieves princess jasmine prince aladdin.